There are multiple strategies for addressing Final Office Actions at the USPTO. WHIPgroup already explained why examiners like RCEs (and why you shouldn’t). One alternative to an RCE – an Appeal – provides many attractive qualities to applicants whose claims are patentable without amendments. Appeals not only preserve claim scope, but also put the Application in front of a Board of three judges who decide whether to maintain an Examiner’s rejections. However, delays at the USPTO mean that Appeals can involve a long briefing and oral argument schedule that can take significant time. In one time and money saving effort, WHIPgroup worked with the USPTO to install a unique, dedicated video conferencing system at WHIPgroup so that its attorneys can participate in Appeal Hearings without travel. WHIPgroup also takes advantage of the USPTO’s Pre-Appeal Brief Conference Pilot Program to alleviate the time and cost of Appeals. The Pre-Appeal Brief Conference Pilot Program allows Applicants who have filed a Notice of Appeal to simultaneously file a Pre-Appeal Brief – a five-page, narrowly-tailored argument about why an Examiner’s rejections are improper. A committee of three Examiners then determine whether to allow the case to proceed to a full Appeal, prosecution should be reopened, or the case allowed. Successful Pre-Appeal Briefs are typically targeted to few issues or shed light on a common theme in an Examiner’s rejection – such as the improper use of hindsight. In a recent Pre-Appeal Brief, WHIPgroup’s arguments that the rejection used impermissibly broad claim interpretations and that the cited reference failed to disclose several of the claimed features resulted in the reopening of prosecution. (https://www.whipgroup.com/blog/pre-appeal-brief-nets-another-win/). WHIPgroup has also obtained allowances directly from Pre-Appeal Briefs. (https://www.whipgroup.com/news/whipgroup-obtains-allowance-using-pre-appeal-brief-conference-program/). Analyses have shown that Pre-Appeal Briefs result in favorable resolution approximately 39 percent of the time. So far in 2018, WHIPgroup-filed Pre-Appeal Briefs led to favorable resolution in 50 percent of cases, 11 percent above average. The remaining cases proceed to Appeal – where WHIPgroup achieved an 81% success rate last year. (https://www.whipgroup.com/single-post/2018/02/06/2017-Stats-WHIPgroup-Continues-to-Excel-in-Ex-Parte-Appeals). The results of the Examiners’ conference are typically reported within weeks of the Pre-Appeal Brief. Therefore, little-to-no time is added to the Appeal process. 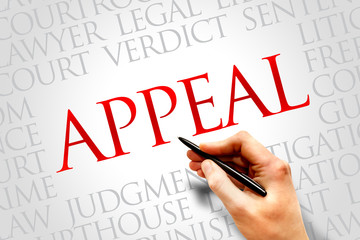 In fact, a Pre-Appeal Brief may have no impact on the Appeal timeline because of the two-month deadline gap between a Notice of Appeal and an Appeal Brief. Pre-Appeal Briefs also can save Applicants money. There is no government fee to file a Pre-Appeal Brief (aside from the $800 large entity Notice of Appeal fee, which can be reused for subsequent appeals in the same case). The Pre-Appeal Brief also helps to formulate the arguments for Appeal, along with any knowledge gained from Examiner comments. Notices of Appeal should be filed when an Applicant believes that the present claim scope is patentable over cited references. A Pre-Appeal Brief, with focused arguments should also be seriously considered, since it has a high potential payoff (a notice of allowance) for a comparatively small investment.